Two adhesive surfaces that hold firmly to any smooth surface and release at a touch. Can be used instead of liquid glue for temporary mounting. 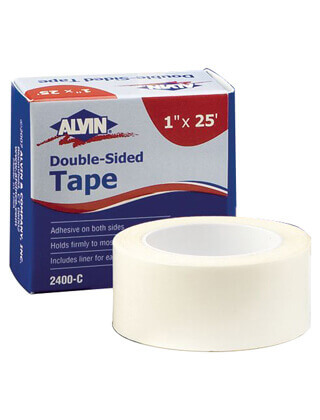 Ideal for mounting repro films where lack of space precludes use of normal adhesive tapes.